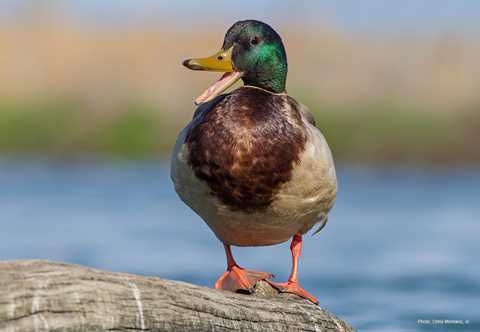 Mallards have one of the most extensive breeding ranges of any duck in North America, extending across the northern third of the United States and up to the Bering Sea. 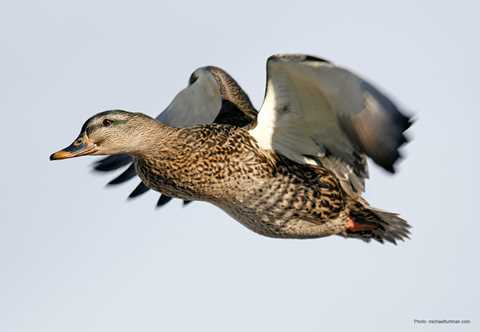 The highest mallard densities occur in the Prairie Pothole Region of Saskatchewan, Alberta, Manitoba and North and South Dakota, with nests placed in upland habitat near wetlands on the ground. 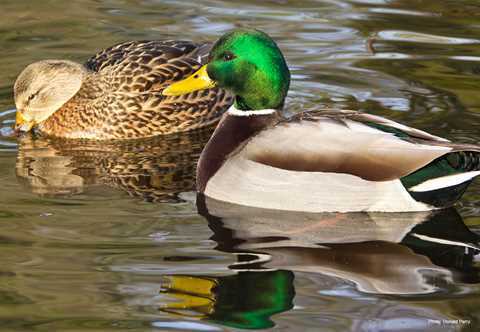 Female mallards lay an average of 9 eggs. 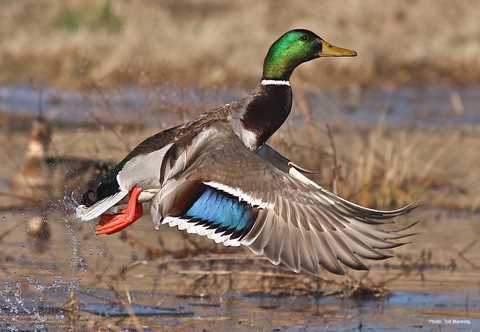 Average length: M 24.7", F 23"
The mallard is the most common duck in the United States, with the greatest abundance between the Appalachian and Rocky mountains. 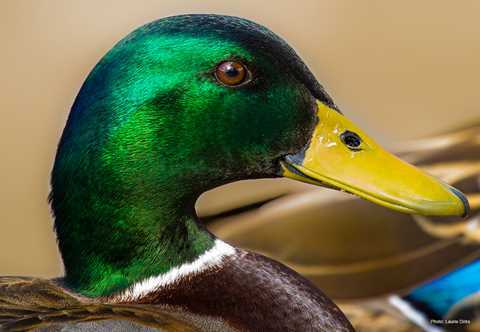 Mallard populations have benefited greatly from the Conservation Reserve Program (CRP) and other grassland restoration efforts in the northern Prairies of the United States, where populations have continued to increase. 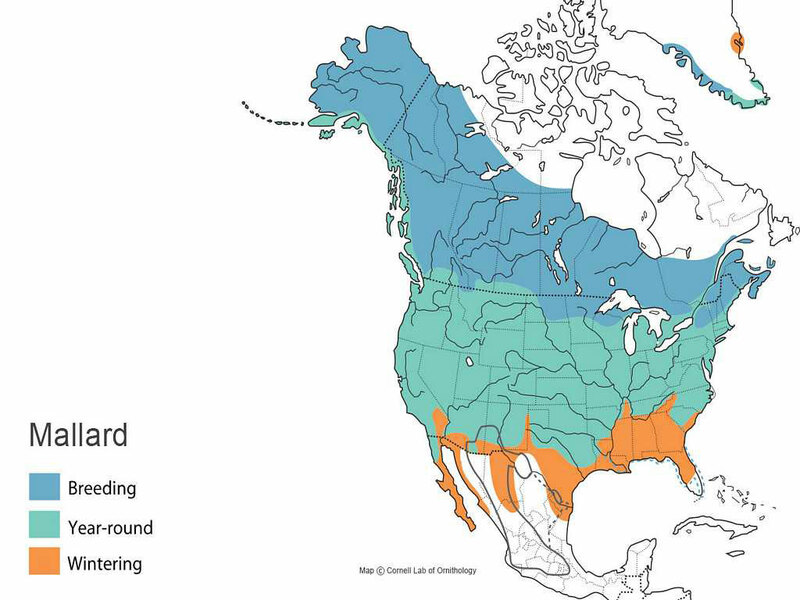 Mallards migrate along numerous corridors, but the greatest concentrations move from Manitoba and Saskatchewan through the Midwestern United States to the Mississippi Alluvial Valley. 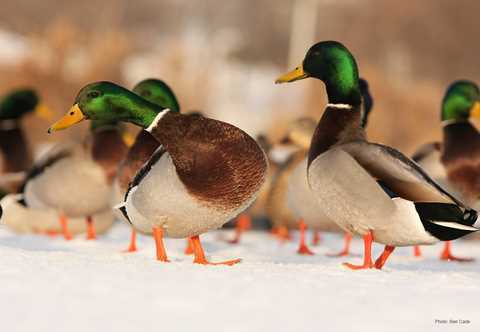 Mallards winter throughout the United States, with the highest densities typically recorded during winter surveys along the Mississippi Flyway from Cape Girardeau, Mo., to the Gulf of Mexico. 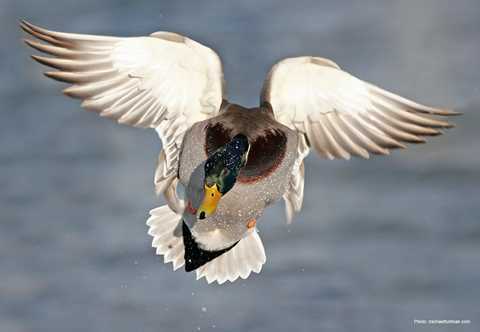 Among the dabbling ducks, mallards are one of the latest fall migrants. They also have the most extended migration period, which lasts from late summer to early winter. Mallards are found in a variety of habitats, including dry agricultural fields, shallow marshes and oak-dominated forested wetlands. 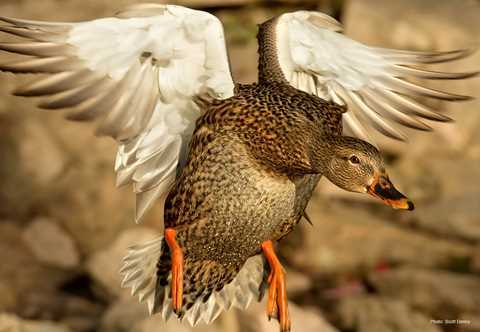 Mallards are vagrant to Central America and the Caribbean.